A project approved by the Prime Minister is for sustainable forest protection, restoration and development in the Central Highlands in an effort to stop the loss of forest coverage. 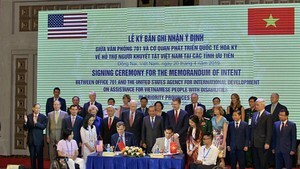 Costs for the project, implemented between 2016-2030, total VND28,5 billion ($1.2 million) sourced from the State budget. 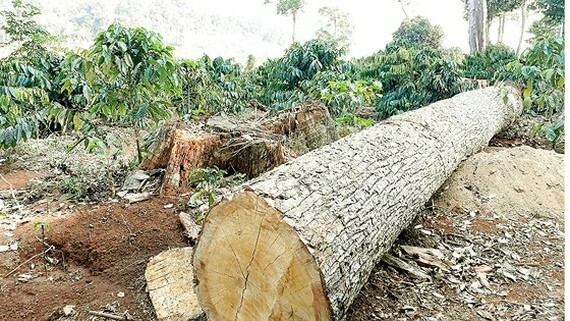 The project aims that by 2025, the forest coverage will increase to 2.72 million ha from the current 2,246 million ha, improving the coverage to 49.2 percent as well as developing sustainable forest, protecting ecological environment and conserving biodiversity to provide forest environment service for socioeconomic growth, social security order in the highlands region. The sum will be spent to protect the existing natural forest of 2,246 million ha in the region as well as deter people from cutting trees, encroaching forest, illegal smuggling of wild animals and fighting against forest rangers and police. What is more, the sum will be spent on handling conflicts on forest and agricultural land of 282,896 ha. In the phase 2021 - 2030, the project will build mechanism and polices for the highland regions’ forestry sector by encouraging the establishment of community forest management system. Households or villages will be assigned to protect forest and they are given an agricultural land for production with the aim to stabilize their living condition. Gradually, the government will call for social contribution of agriculture sector for growing special trees such as Ngoc Linh ginseng and Cane.